This card is for a male. 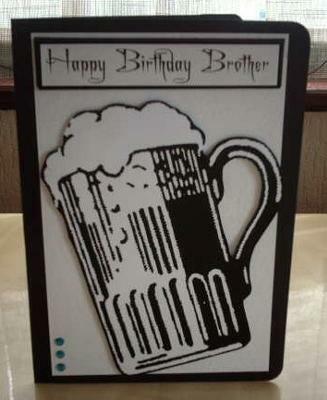 As male cards are not always easy to do, it's a pint of beer and I just thought it was the ideal card for a Boy/Man. To make this card i used white card stock, and printed a black image of a pint of beer onto the card and then cut out another and 3D the image using 3D Sticky pads. I also use some gem stones and the sentiment says Happy Birthday Brother. The second photo is a card I made for a friend who wasn't too good so this card is a Get Well Card. 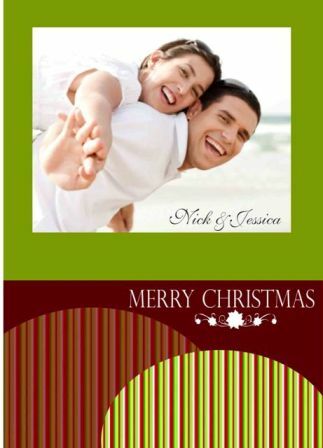 I used cream card stock as a background base, then mounted green card stock using 3D sticky pad. The stamp is from Pennyblack. I used Promarkers to colour the image, the Sentiments Best Wishes and Best Friend are also stamps which I mounted. This gives them some height. And to finish off, I used some green card candy. 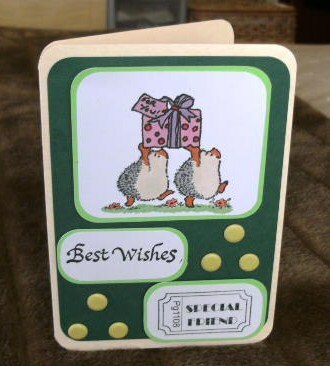 I have made lots of cards and if you would like to view them, please drop by My Blog. Perfect for my brother!!!! He loves beer! Sometimes a bit too much. Thanks!